If you have older parents, brothers and sisters relative and friends and if you are an older person yourself than I would strongly recommend that you or your relatives and friends have Powers of Attorney in place. This advice would be extended to anyone about to undergo major surgery or undergoing treatments for serious medical conditions. As one of Ireland’s leading Advisers on the Nursing Home Support Scheme- Fair Deal, I regularly come across situations where people lose their cognitive ability and capacity to make decisions for themselves. I usually meet the families and friends who are trying to organise funding for long term care available under the Nursing Home Support Scheme-Fair Deal which due to sudden or progressive decline in health of the applicant find themselves unable to progress the applications due to lack of capacity of the applicant. Often the applicant has plenty of money in the Bank and property none of which can be accessed if joint signatures are not in place on Bank accounts or if a Power of Attorney or Enduring Power of Attorney are not in place. There are two types of Power of Attorney which are the Power of Attorney which allows someone usually a close relative or friend to act on someones behalf when they have capacity. This is very useful for someone who has capacity but who for whatever reason cannot act on their own behalf and nominates someone else to do so. Sometime this can also be put in place by persons who may be living abroad and nominate someone to act on there behalf and is not necessarily used just for ill health. The second form of Power of Attorney is the Enduring Power of Attorney. This comes into place when the person who has granted the Power of Attorney loses their capacity to make decisions. When the Grantor of the Power of Attorney loses their capacity the Power of Attorney is no longer valid. This could occur with the onset of dementia, Alzheimer, stroke, brain injury or other illness. When organising a Power of Attorney in particular for older persons or persons in poor health, your Solicitor will normally recommend that you put the Enduring Power of Attorney in place so that the grantees can act on the grantors behalf when/if they lose capacity. In order to safeguard the Grantor, the Enduring Power of Attorney must be registered with the Wards of Court with clear evidence that the Grantor has lost the capacity to make decisions or to act on their own behalf. By having Power of Attorneys in place you have authorised the Grantee permission to act on your behalf. They can pay your Nursing Home Fees, complete your Nursing Home Support Scheme applications and deal with your affairs when you cannot either temporarily or in the long term. The Grantees have an obligation to act in good faith and to keep proper records of any transactions that they carry out for you. The Enduring Power of Attorney ends or can be revoked when the Grantor dies or returns to full health. I would strongly recommend that Power of Attorney and Enduring Power of Attorney are taken out when the person taking it out is in good health and has full mental capacity. If a Solicitor feels that the person looking to take out the Power of Attorney does not have full capacity they may refuse to act on behalf of the person or their family members without written medical evidence regarding capacity. It would be good practice to nominate two persons as your grantees who may have to act jointly on any decisions regarding your affairs. 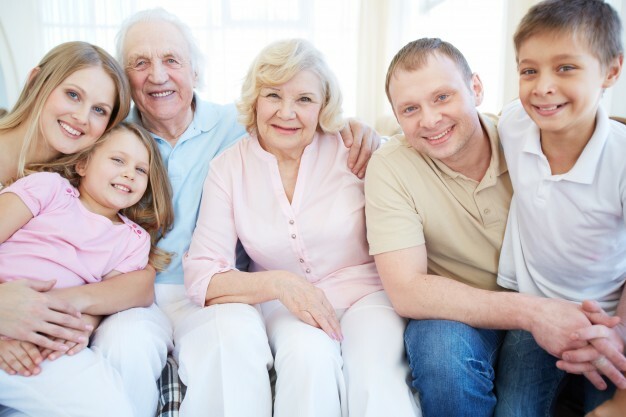 If you don’t have an Enduring Power of Attorney in Place and you lose capacity, you will leave your relatives in a very difficult situation whereby they cannot access your funds to pay for your care needs and other expenses and cannot complete the Nursing Home Support Scheme Ancillary loan forms. The only solution is that they will have to apply to make you a Ward of Court which is an expensive and long process. In the meantime who funds your care? If the above is relevant to you or your relatives and friends I would strongly recommend you contact your Solicitor today and make an appointment to have Powers of Attorney put in place. You may never uses them but knowing that you have them in place should give you peace of mind knowing that they are in place if anything should happen to you or your relatives and friends. If you need any further advise on this area or on the Nursing Home Support scheme please contact Tom Murray on 086 6015042 or email me at advice@fairdealadvice.ie. For further details on the Nursing Home Support Scheme- Fair Deal and how we can help you, please visit our website www.fairdealadvice.ie.